PotHoleGlue has been specifically formulated to create a powerful, durable, easy to apply system for the economical repair of potholes in bitumen and concrete road pavements. PotHoleGlue is a new alternative to conventional, more harmful, less effective methods of road repair. 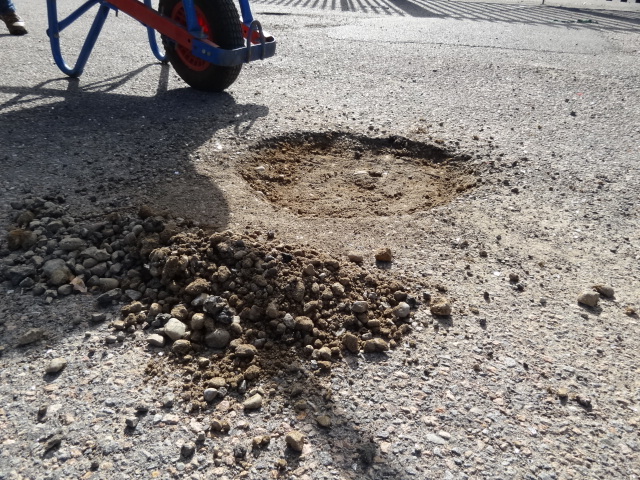 PotHoleGlue gives a tough, durable, long lasting pothole repair that creates an exceptionally strong bond between the applied aggregate and the surrounding pavement. PotHoleGlue has a quick curing time and is not harmful to people or the environment. PotHoleGlue has exceptional chemical, thermal and UV stability making it a permanent fix. It creates a bonded seal to the existing pavement preventing water penetration and further erosion.